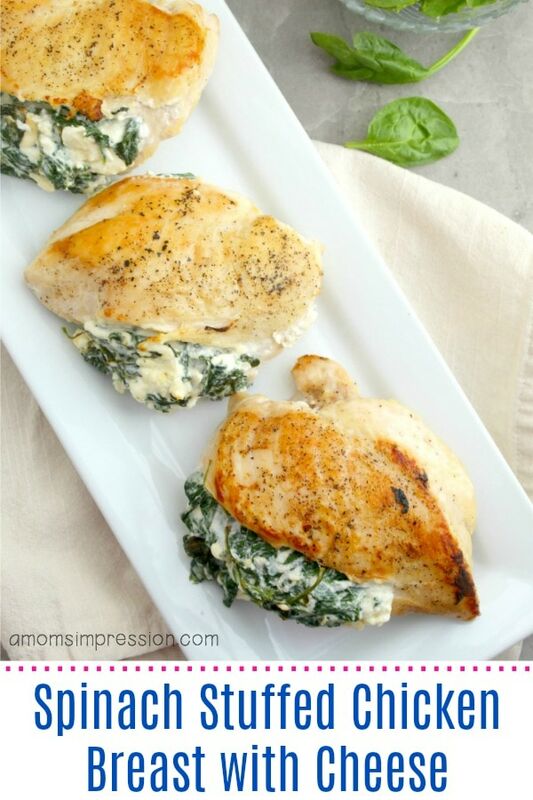 Keto Spinach stuffed chicken breast recipe is easy to make on a weeknight for dinner. 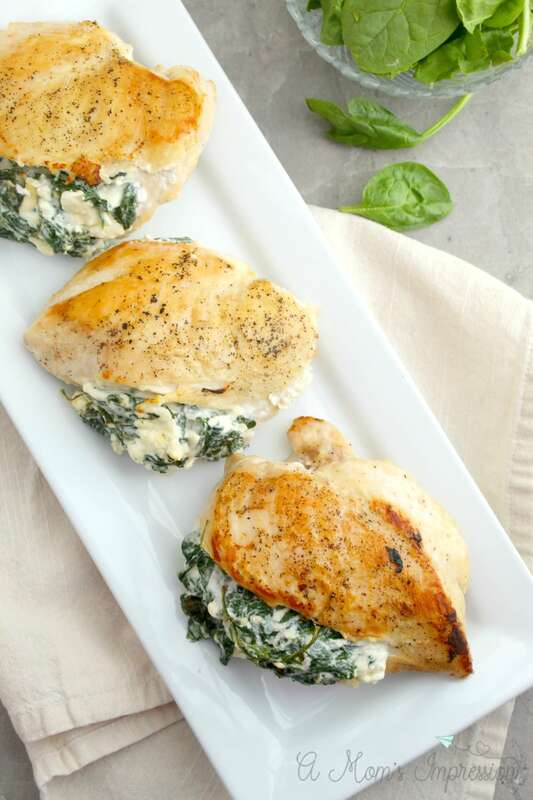 This low-carb cheesy chicken is pan-seared and stuffed with spinach and melty cheese — ready in just 30 minutes! As many of you know, the keto diet is really popular at the moment and doesn’t look to be losing any steam. There are several reasons why. The benefits of this diet include weight loss and overall better health but I really like it because I don’t feel like I am missing out on anything. I struggle with some of the other lifestyles but I seem to do better on this one. Check out this Keto Beginner’s Guide to learn more. A keto diet is a low carb, high-fat diet, where the body gets its energy from ketones produced in the liver. 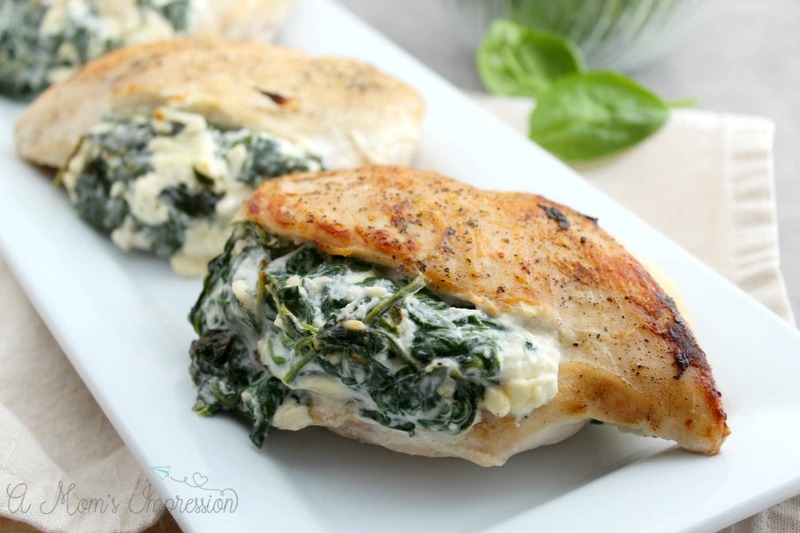 It gives me great energy and makes me feel great plus I still get to enjoy my favorite spinach stuffed chicken breast recipes like this one! Recently I posted some wonderful Keto Instant Pot Recipes, and today I wanted to share my favorite stuffed chicken breast recipe. 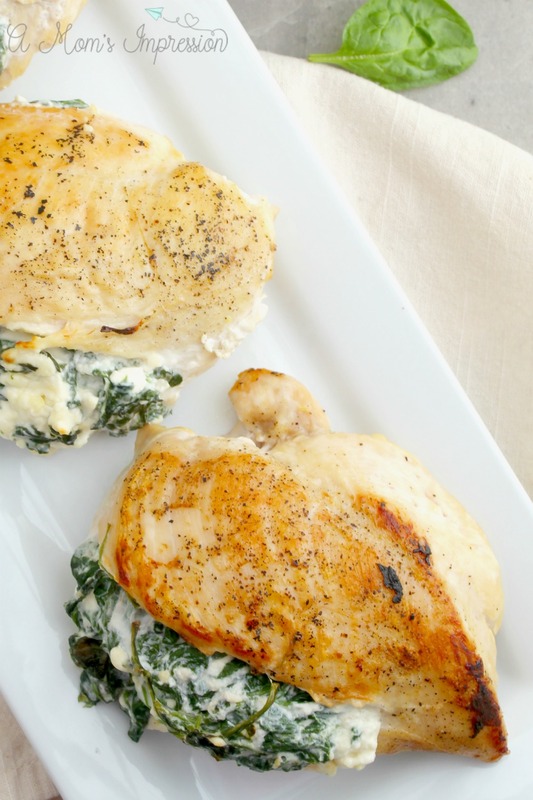 This low-carb chicken recipe is stuffed with delicious spinach, feta, and cream cheeses to make a creamy and moist chicken dish. 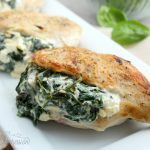 Keto chicken is perfect for families because the kids will enjoy the meal just as much as you do and this Keto Spinach Stuffed Chicken Breast with Cheese will become a family favorite! For a complete meal pair it with this Keto friendly loaded cauliflower casserole! If you like this recipe you can also check out our collection of Paleo Instant Pot recipes that have more great options for low-carb meals for your family. Also, don’t miss my kids’ favorite Pizza Chicken recipe! 2. In a large sauté pan over medium heat, add 1 tablespoon of olive oil. Add the contents of the 8 oz. bag of fresh spinach and use a wooden spoon to gently stir for 2-3 minutes until all spinach is wilted. If the pan is too small to hold all of the spinach, start with half a bag, allow it to wilt, and add the remaining spinach. 3. 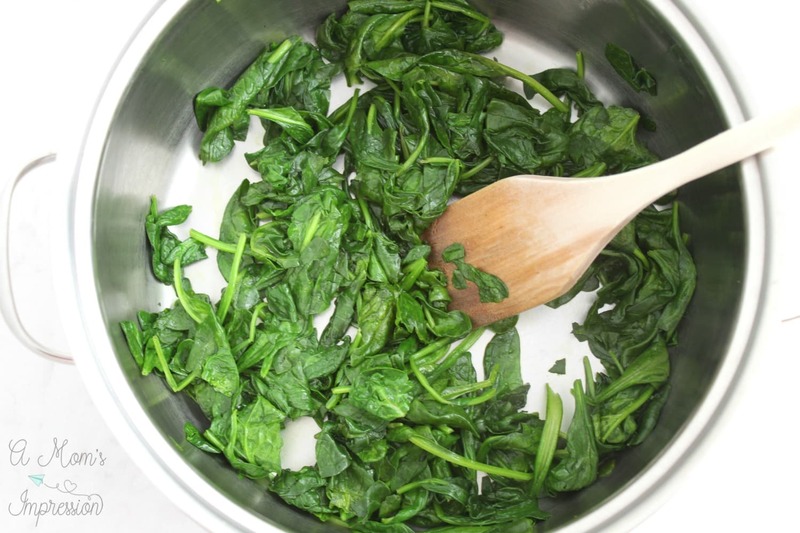 Once all spinach has wilted, remove from heat and spoon into a colander. Press out as much of the excess liquid as possible. 4. 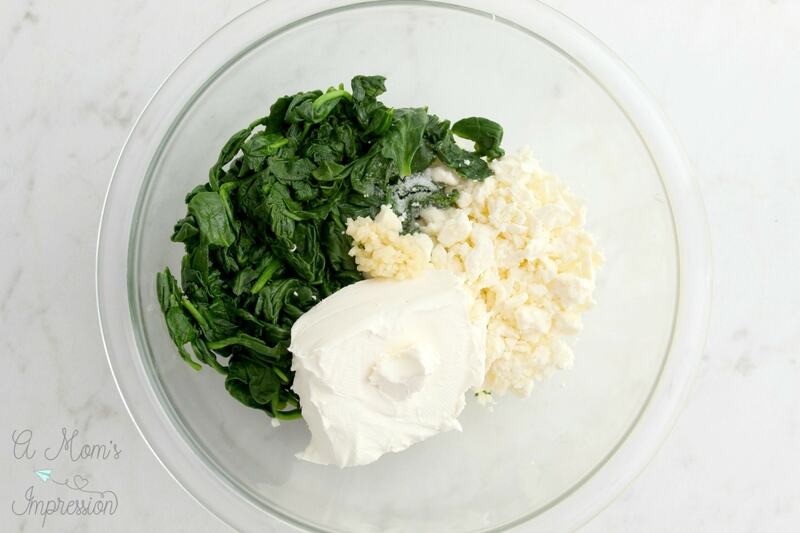 In a medium-sized bowl, add the cooked spinach, feta, cream cheese, garlic, and salt. 5. 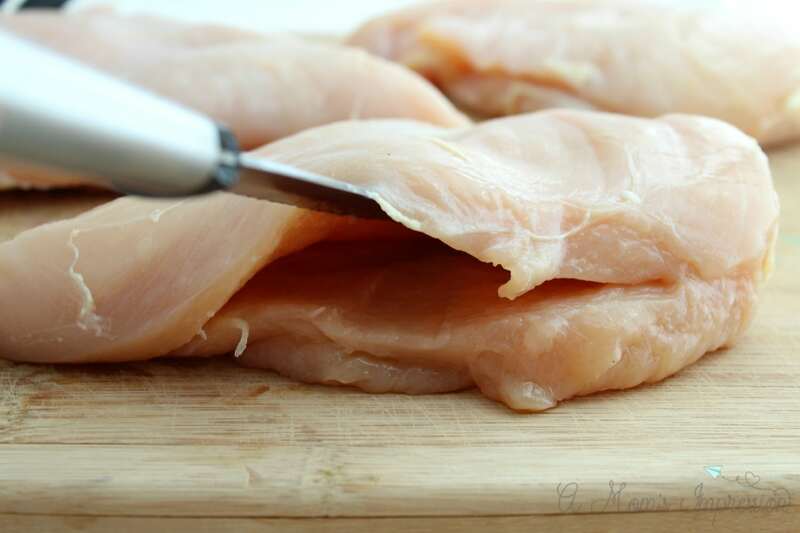 Place the chicken breasts on a cutting board. 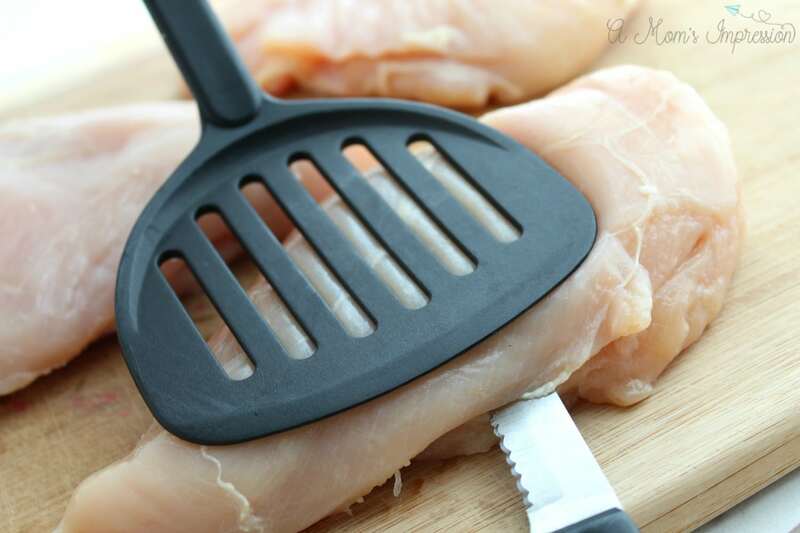 Use a large, flat spatula to press down on the top of the chicken breast and use your other hand to insert a knife into the thickest side of the chicken. Cut a pocket, being careful not to cut all the way through the other side and stopping before you get to the end of the chicken (creating a pocket, not a flap). 6. Season the chicken breasts with salt and pepper. 7. 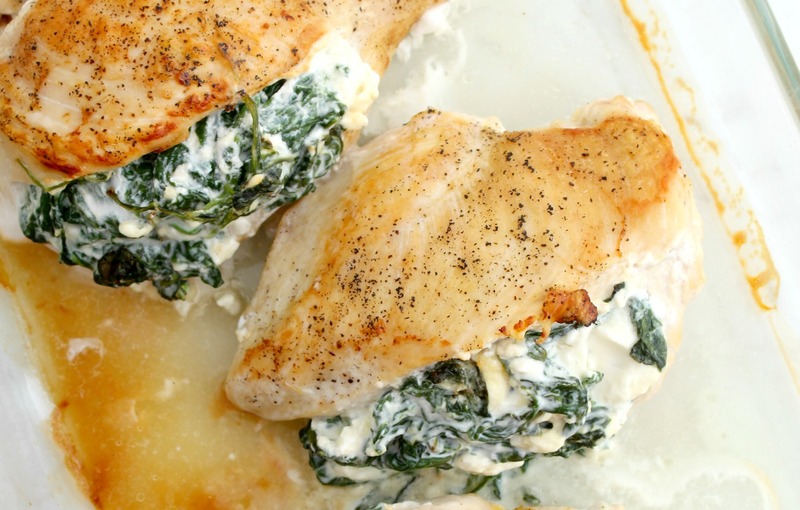 Place about a ½ cup of the spinach-cheese mixture into each chicken pocket. 8. Heat 1 tablespoon of olive oil in a pan (preferably oven-safe) on medium-high heat. After the pan is heated through, add the chicken breasts – top side down. Allow to cook for 5 minutes without touching. 9. If you used an oven-safe pan, simply place in the oven for 10-15 minutes until chicken has cooked through. 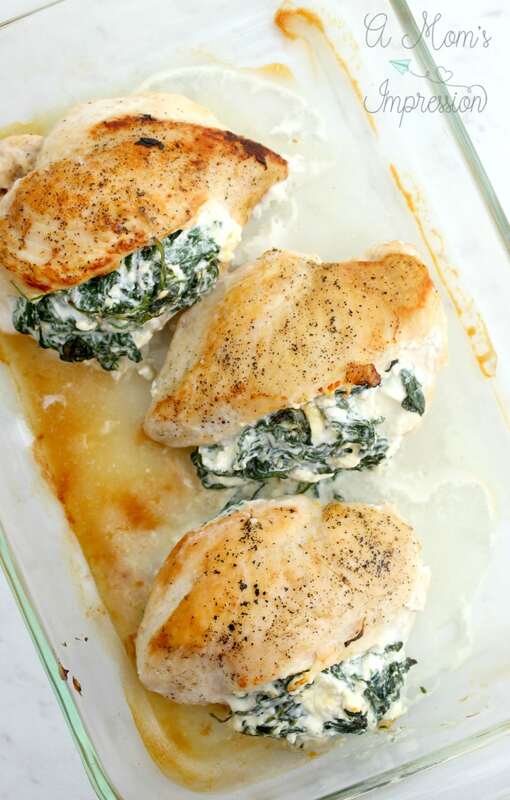 If not using an oven-safe pan, simply transfer the chicken breasts to an oven-safe dish and bake. If your chicken breasts are quite large – they will need the full 15 minutes. 10. Once finished baking, allow the chicken to rest for 5 minutes and serve.